In my previous post, I introduced TMonitor. In this post, I’ll actually put it work by writing a simple threaded queue class with it. ‘Simple’ could mean many things of course, but in this context it will denote two things in particular: firstly, my class will simply wrap the standard generic TQueue; and secondly, there won’t be any maximum item count implemented. The latter means only the the dequeuers’ (i.e., the item takers) may become waiters, i.e., be involved in a Wait loop. For sure, entry into the monitor on the enqueuing (item adding) side may be blocked, but once the lock is taken, it won’t be released until the end of the Enqueue method. Nonetheless, speaking of a ‘thread-safe queue’ might imply something even simpler. In particular, it might be taken to mean using a TCriticalSection instance to guard the underlying TQueue’s Enqueue and Dequeue methods, similar to what the old TThreadList class does vis-a-vis TList. Such an approach would be a bit too simple however — if one thread (the producer thread) ‘pushes’ or adds items and another (the consumer thread) ‘pops’ or takes them out, there will need to be a notification system on top to tell the consumer when the queue has items ready to be popped. Happily though, a notification system is precisely what the wait/pulse functionality of a monitor provides. Here, the Enqueue and Dequeue methods are named after the methods of TQueue they’ll wrap. Their signatures are a bit different though given the ability to specify a timeout. For the result type, I’m using the standard TWaitResult enumeration; specifically, wrSignaled will denote success, wrTimeout the function timing out, and wrAbandoned for when the queue has been closed. With regards to the last of these, the Close method will both close the queue for potential enqueuers and drain it for potential dequeuers (the Closed property will then report whether Close has been called). While we will call Close in the destructor, Delphi’s manual memory management means it will need to be called explicitly if there’s a chance any consumer thread is waiting on Dequeue. This is because we need an object to lock against, yet this same object will be freed in the destructor. While an extra layer of blocking code could be added to prevent this object (which will be the internal TQueue instance) being freed too early, I don’t think the added complication is worth it. This done, TSimpleThreadedQueue is complete. Next up is to create a simple demo app. For this, we’ll design a basic form with a button, the pressing of which will generate some work for a worker thread to get on with. This work will be put in an ‘in’ queue (there will be more than one worker thread available), and when completed, it will be put in an ‘out’ queue for the main thread to pick up. For simplicity, each item of ‘work’ will be a string value; to simulate processing, a worker thread will merely sleep for a bit before pushing the value just popped into an ‘out’ queue. While plainly in the realm of demo code, this setup will still involve both a single producer, multiple consumer situation (the ‘in’ queue’) and a multiple producer, single consumer one (the ‘out’ queue). Note the explicit call to the ‘in’ queue’s Close method. Doing this will cause the Dequeue call in the waiting worker threads to break off, returning wrAbandoned. After signalling the countdown event itself, the main thread then waits on the event being completely signalled (for the TCountdownEvent’s internal counter falling to zero in other words), which will happen once every worker thread has finished. Finally, the queue objects can actually be destroyed. That’s about it really. If you compile and run the resulting application, the most instructive approach is probably the most jejune: with the enqueue button focussed, just press and hold down ENTER for a bit. That should result in several work items being enqueued, interspersed with a few being completed as the four worker threads get to work. Obviously, tweaking the values used in the OnCreate handler will affect this – have the threads sleep for at most 200ms rather than 2000ms, for example, and the ‘in’ queue will be processed almost as quickly as you can fill it up. While it’s been in the product for a few versions now, I’ve come across very little example code for TMonitor, despite its implementation having been heavily blogged about by its author (Allen Bauer) while he actually was writing it. In this post and its sequel, I’ll be looking to help rectify that, if only in a very small way. Naturally, your first question may well be to ask what on earth is TMonitor. One answer is that it is a Delphi implementation of the Monitor class in .NET, having a very similar interface to the latter and essentially the same functionality. Of course, .NET didn’t invent the concept of a ‘monitor’, and you can read more about it on Wikipedia. In short, a monitor is the combination of a critical section and a ‘condition variable’. If you’re like me, the second part of this sounds very jargon-y, with the first leading to the thought ‘what’s the point?’ – after all, Delphi has a TCriticalSection class, or if you prefer, direct access to the Windows critical section API. In contrast, in .NET, Monitor is the critical section class, which – naturally enough – makes it quite essential over there (the fact the critical section aspect is also given some syntactical sugar in C# with the lock keyword can’t not help either). 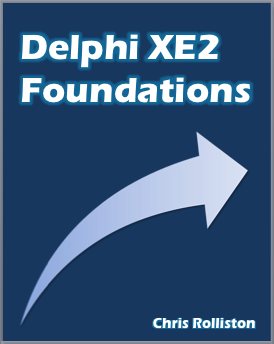 So, what is the point back in Delphi-land? This starts a new thread that, on taking the lock, immediately releases it to wait on the Go variable becoming True. The latter happens when the user presses ENTER, upon which the main thread takes the lock, sets Go to True, ‘pulses’ the change in state, before finally releasing the lock. As always with locking primitives, use of try/finally is very much necessary. The sort of state waited on is entirely up to the discretion of the code that uses TMonitor. The Wait and Pulse calls are made within an Enter/Exit pair. The call to Wait therefore releases the lock, allowing another thread to get in and call Pulse. The Pulse call itself then wakes the thread at the top of the Wait queue. In the present example there’s only one waiter, but if there were more than one and you wished to wake all of them, you should call PulseAll rather than Pulse several times. Regarding the Wait call again, observe how it is made in the context of a while loop. In this case that isn’t strictly necessary, since there’s only going to be one waiter waiting on a single boolean condition. Matters would be different, though, whenever there is more than one consumer — between being released and acting on the pulsed state, that state may have been changed by another newly-released thread. With this knowledge, we can use TMonitor to implement a simple threaded queue class, wrapping the standard TQueue. As for the actual implementation, you’ll have to wait to my next post though.